How important is copy editing in the world of new media? For Ju-Don Roberts, managing editor of washingtonpost.com, copy editing was "the single best role I've had" to prepare for an online journalism career. See what the other panelists had to say to more than 100 professors at the sixth annual breakfast. ... before setting foot in a newsroom. What's it really like to work as an editor today? Nearly 200 editors have agreed to help answer that question in this booklet, A Little About a Lot and a Lot About A Little, but as one says, being an editor is "good for the soul." 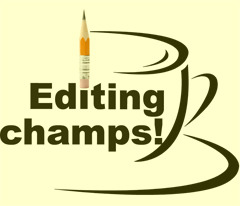 How do we teach editing to students entering an increasingly online world? More than 90 editing professors joined the fifth annual breakfast to hear from industry pros, swap teaching tips and share ideas.